Belgaum , a city, located in the north – east of the state of Karnataka has a population of about 700000. Belgaum was an army Cantonment in colonial times. The city grew from a small rustic town in an agricultural environment. The growth of the town was accelerated by the establishment of the Jawaharlal Nehru Medical College (JNMC), the Dental, Pharmacy, Nursing and Physiotherapy Colleges. It is about 500 Kms from Mumbai, 500 Kms from Bangalore and about 150 Km from Goa. It is bordered by the states of Maharashtra and Goa. 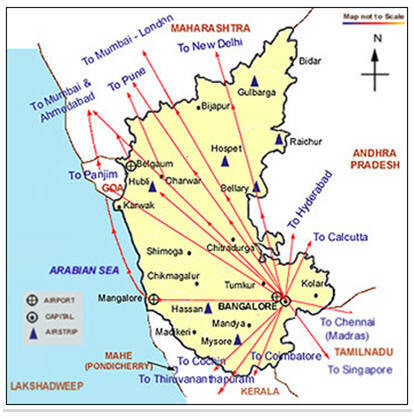 Belgaum is indeed well connected by road, rail and air to the major cities. Belgaum has interesting historical sites worth seeing. The outskirts of Belgaum has many breathtaking sights of natural land formations of pristine beauty. How to get to Belgaum ? Where to stay in Belgaum ? Nestled in the territory of Maharashtra, this well know hill station has panoramic mountainous beauty & enchanting waterfalls. The attraction of a refreshing chilled natural shower under cool mountain waters is what has attracted tourists to this scenic spot time and again. At a distance of 75 kms (about 90 minutes) from Belgaum, this invigorating trip is recommended for all mind-sets. the capital of Chalukya Empire during the 6th & 8th Centuries, has exotic cave temples on a hill. The rock-cut cave temples are ornamented with exquisitely carved animal & human figures, Gods & demigods, floral & geometric patterns, and scenes recalling the great episodes from the epics & the puranas. Protected by the Archeological survey of India, the carvings in the cave temples are truly worth seeing. At a distance of 190 kms (about 3 1/2 to 4 hours) from Belguam, it is a place that art history & heritage lovers should not miss. At a distance of 75f kms (about 90 minutes) form Belgaum, Dandeli is famous for rafting in the Kali river. On a good day an observant tourist may even spot a crocodile. Nature trails & a hike to the sunset point in the evening round up the trip. Recommended for those with a wild, adventurous spirit and an interest in rafting. The land of scenic landscapes, sultry beaches, beautiful temples, churches and monuments, Goa has carved a niche for itself luring travelers from the world over. At a mere distance of 150 kms form Belgaum, this land of breath-taking beauty, on the coast of the Arabian Sea, beckons on and all for a lively holiday experience to cherish. The famous Ambabai temple of Goddess Mahalakshmi is thronged by devotees from far and near. At a distance of 100 kms from Belgaum, the city has beautiful water park and pleasant hill station at Panhala nearby.